Need deep demos and longer conversations? 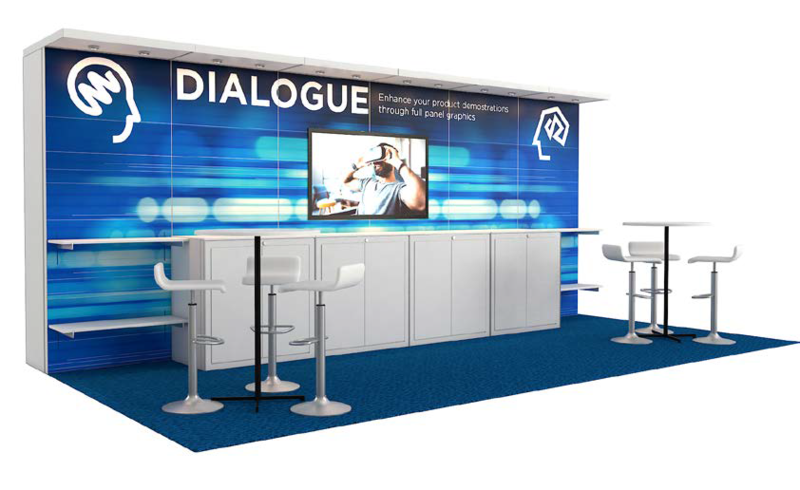 This configuration creates dialogue progression: introductory tables up front with guest seating, and more intense engagement around the back wall counters. Lockable cabinets provide plenty of storage. Consider optional large monitor to deliver sales messages on a continuous loop.